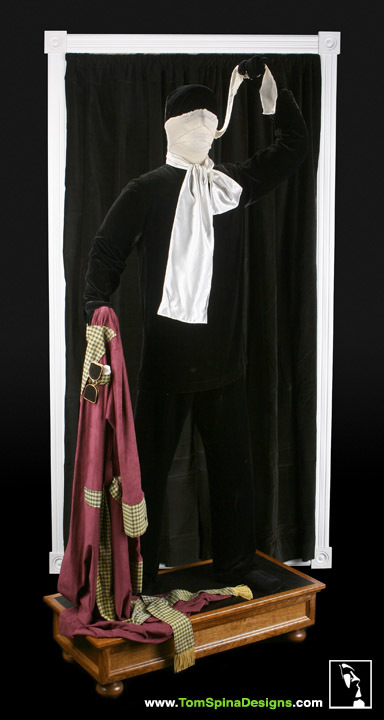 A unique custom mannequin and FX display for a screen used The Invisible Man movie costume from Universal’s 1933 classic horror film. 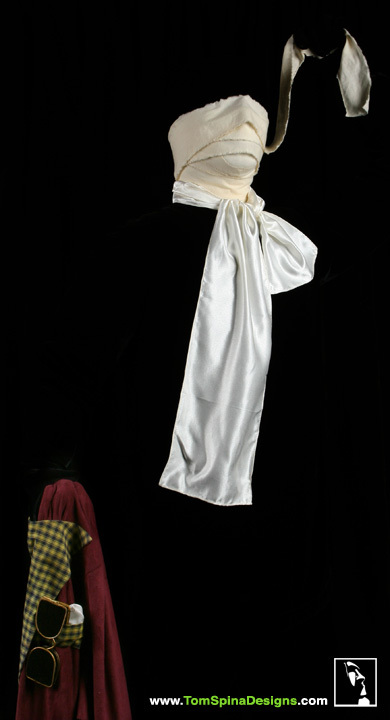 The Invisible Man featured incredible visual effects for its day. The centerpiece was Griffin, the Invisible Man himself, stripping off his bandages to disappear before the audience’s eyes. 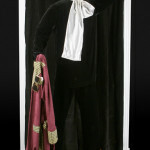 To achieve the effect, the filmmakers used a black velvet bodysuit, shot against a black velvet backdrop. 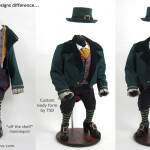 Making this The Invisible Man movie costume a distant relative to today’s greenscreen suits and computer compositing. 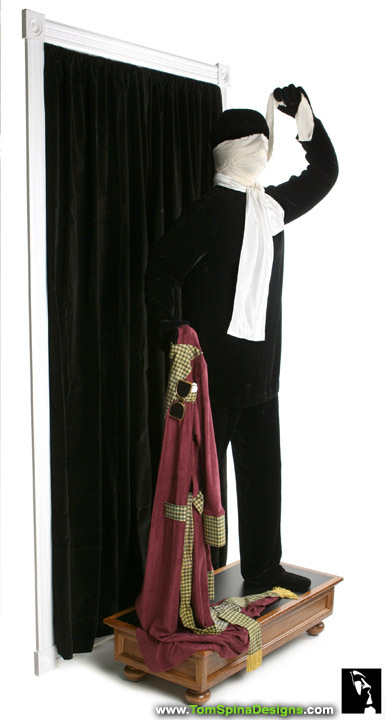 The costume shown here is one of the original black velvet suits worn in the film and subsequent sequels. 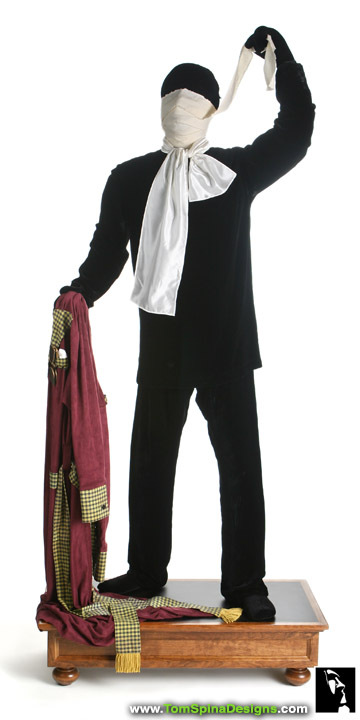 The costume consists of a hood, shirt and pants. 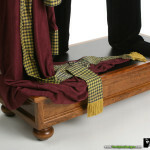 The client also had an additional tunic (not shown) which was used in certain scenes. As always, the challenge was to give the piece some context. 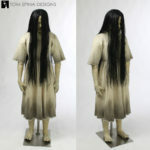 In this case, the client asked us to showcase not just the item, but also how it was used in the film. 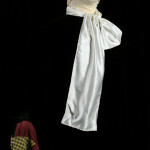 To that end, a wall hanging backdrop was created with classy white trim and black velvet curtains. 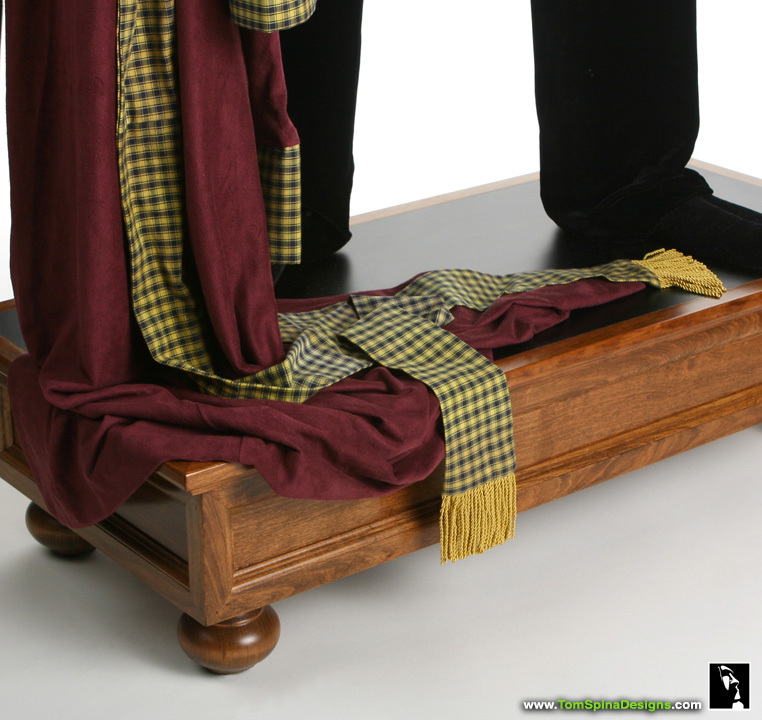 After further discussion with the client, reproduction costume elements (the smoking jacket, ascot and head wraps) were fabricated to make this an instantly recognizable display. 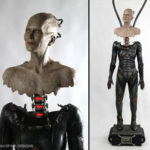 The custom sized and posed mannequin has added support and custom padding to fit the costume and Rains’ build. 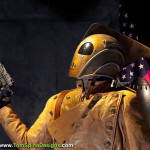 The dynamic pose harkens back to classic model kits and captures the spirit of the film! It was an honor to be entrusted with such an amazing and rare piece of film history! See Claude Rains in this classic 1933 film based on H.G. Wells' novel. Download and watch the movie here!